Frederick Fletcher Hale was born on August 6, 1835 in Portland, Cumberland County, Maine. Frederick Fletcher Hale died from his clothes catching on fire on January 21, 1839 in Waterford, Oxford County, Maine, at age 3. Frederick Fletcher Hale was born on June 20, 1841 in Portland, Cumberland County, Maine. George married Penelope Virginia ("Nellie) Goodwin on October 28, 1871 in Lynn, Massachusetts, as his first wife, and her first husband. He was a shoemaker. They were married by S. H. Winckley, a Unitarian pastor, and had no children. 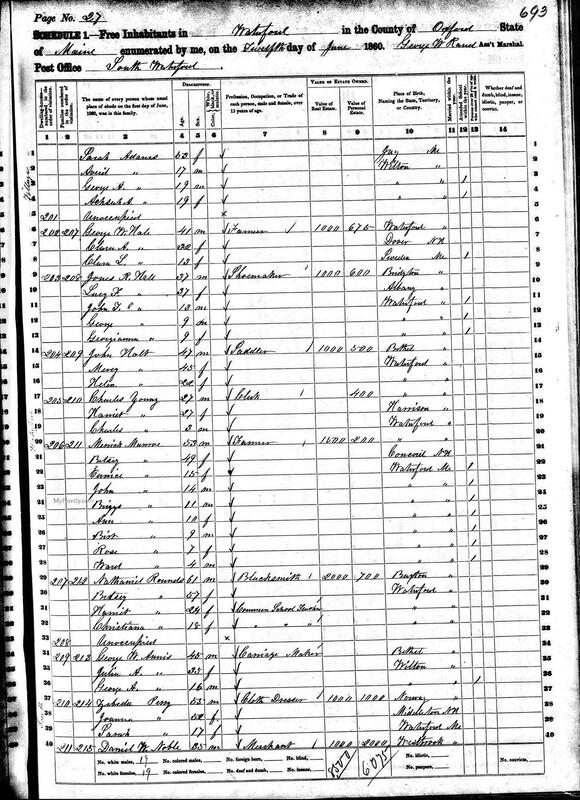 "Maine, Births and Christenings, 1739-1900," index, FamilySearch (https://familysearch.org/pal:/MM9.1.1/F4SD-KVX : accessed 25 Nov 2012), John R. Hale in entry for George G. Hale, 14 Jul 1849; citing reference 2:1VL0ZHR, FHL microfilm 11531. 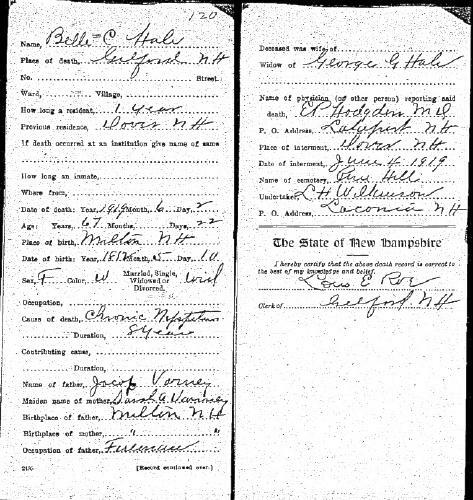 "Massachusetts, Deaths, 1841-1915," index and images, FamilySearch (https://familysearch.org/pal:/MM9.1.1/N4MP-ZRW : accessed 25 Nov 2012), John R Hale in entry for George G Hale, 1907. He was the son of George Washington Hale and Clara Adeline Neal. 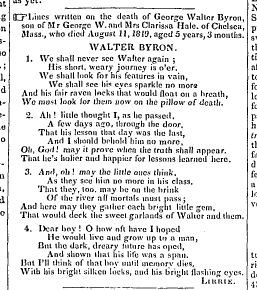 Lines written on the death of George Walter Byron, son of Mr. George W. and Mrs. Clarissa Hale of Chelsea Mass., who died August 11, 1849, aged 5 years, 3 months. His short, weary journey is o'er. We shall look for his features in vain. We must look for them now on the pillow of death. And I should behold him no more. That he's holier and happier for lessons learned here. That would deck the sweet garlands of Walter and them. With his bright silken locks, and his bright flashing eyes. ae 5 ys 3 ms.
Hist. of Hampton refers to his marriage to Minerva Neal, who would have been cousin of Clara Adeline Neal. I have found no other evidence of this marriage..
On November 15, 1858, George Washington Hale bought land in west side of Stearns Pond, Sweden, Oxford County, Maine. Transfered from Edmond Kimball of Sweden to G. W. Hale of Waterford, land adjacent to land of John Morrison Gilman Bennet and William Wentworth. The same piece of land Kimball purchased from Thomas Trull and John Morrison. 30 acres. $45.00. 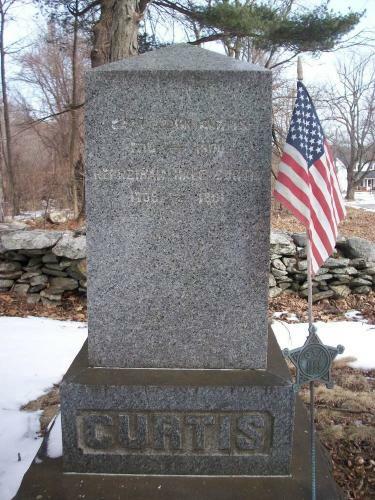 Recorded 20 June 1874.
ae 72 yrs & 4 mos. Oxford County (Maine). Register of Deeds, Deeds of the Western District, , vol. 32, p. 306, vol. 34, p. 285, vol. 35, p. 63. Oxford County (Maine). Register of Deeds, Deeds of the Western District, , vol. 32, p. 102, and vol. 33, p. 22. Oxford County (Maine). Register of Deeds, Deeds of the Eastern District, , Vol. 60, p. 341. Oxford County (Maine). Register of Deeds, Deeds of the Eastern District, , vol. 146, p. 97. Oxford County (Maine). Register of Deeds, Deeds of the Eastern District, , Vol. 60, p. 342. Robert Safford Hale, Genealogy of descendants of Thomas Hale of Watton, England, and of Newbury, Mass., , at https://archive.org/stream/genealogyofdesce00hale . Albany, N.Y.: Weed, Parsons and Company, printers, (1889) , p. 117.
living at Portland, Cumberland County, Maine. Lieutenant Henry Wyer Hale was a lieutenant in Co. L, Mich. Cavalry, and master sargeant in Co. H, Mass. Cavalry. Lieutenant Henry Wyer Hale was a merchant at the time. 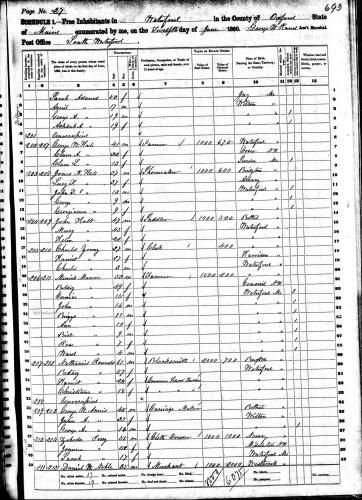 As of May 25, 1884, Lieutenant Henry Wyer Hale lived at Cumberland Ave, Portland, Cumberland County, Maine. Vital Records of Dudley, Massachusetts, to the End of the Year 1849, , at https://books.google.com/books?id=Y4iO_eJ1ZL4C . Worcester Massachusetts: Franklin P. Rice, (1908) , p.257. Find A Grave Memorial# 48083911. Hortense Hale was born on October 27, 1837 in Turner, Androscoggin County, Maine. Robert Safford Hale, Genealogy of descendants of Thomas Hale of Watton, England, and of Newbury, Mass., , at https://archive.org/stream/genealogyofdesce00hale . Albany, N.Y.: Weed, Parsons and Company, printers, (1889) , p. 341.